In celebration of the 50th anniversary of the Supreme Court’s decision in Arizona v. California, 373 U.S. 546 (1963), the William A. Wise Law Library at the University of Colorado Law School has put together a unique online archive tracing the historic 12-year litigation. 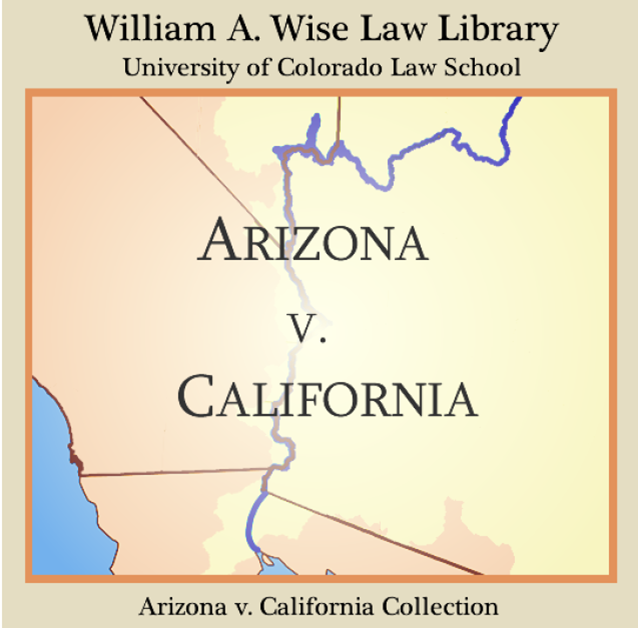 Of interest to students of water law and environmental history, the case involves a complex series of disputes over water distribution rights from the Colorado River between the states of Arizona and California. 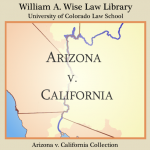 contains more than 160 full-text, searchable pleadings, briefs, orders, transcripts, and reports from the historic, 12-year original proceeding in the U.S. Supreme Court filed by the State of Arizona against the State of California, which sought to clarify rights to the use of Colorado River basin water. The case culminated in a June 3, 1963 decision, reported in Arizona v. California , 373 U.S. 546 , which was implemented by a March 9, 1964 decree, reported in Arizona v. California , 376 U.S. 340 . 1. The case has been relitigated over the years at the Supreme Court level: 283 U.S. 423 (1931); 292 U.S. 341 (1934) ; 298 U.S. 558 (1936); 373 U.S. 546 (1963); 376 U.S. 340 (1964); 383 U.S. 268 (1968); 439 U.S. 419 (1979); 460 U.S. 605 (1983) 466 U.S. 144 (1984); 531 U.S. 1 (2000).